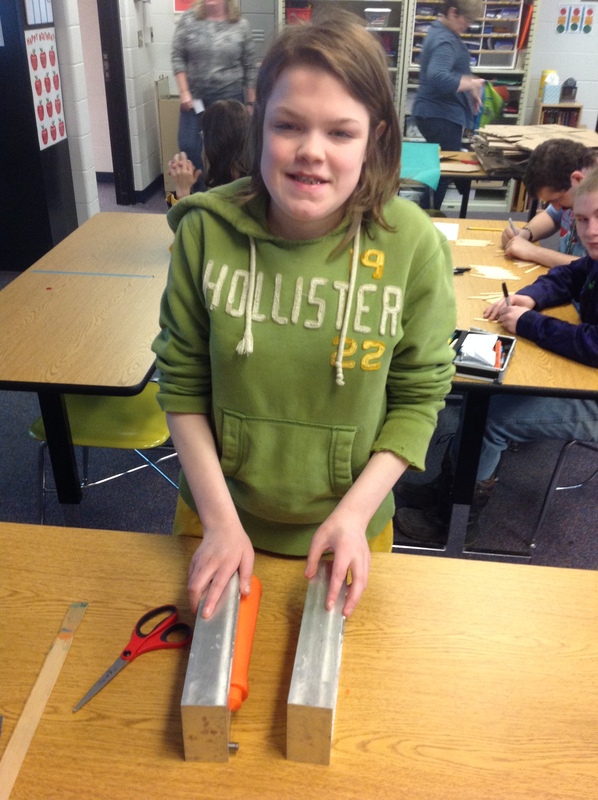 Some examples of candles made by the students at the Clare-Gladwin Area School. 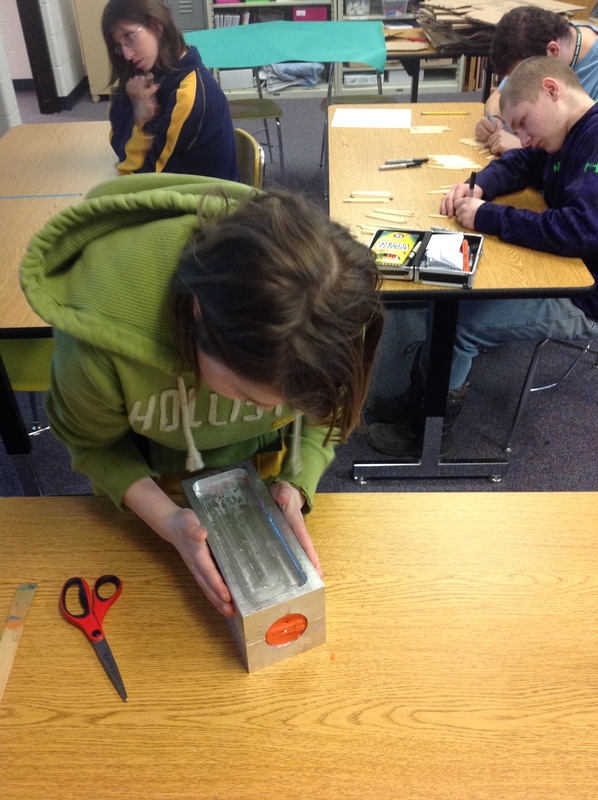 This year Ms. Galliher’s classroom at the Clare-Gladwin Area School in Clare, Michigan started making Crisp Point candles for our Visitor Center Gift Shop at the lighthouse and for our fundraising page on our web site. 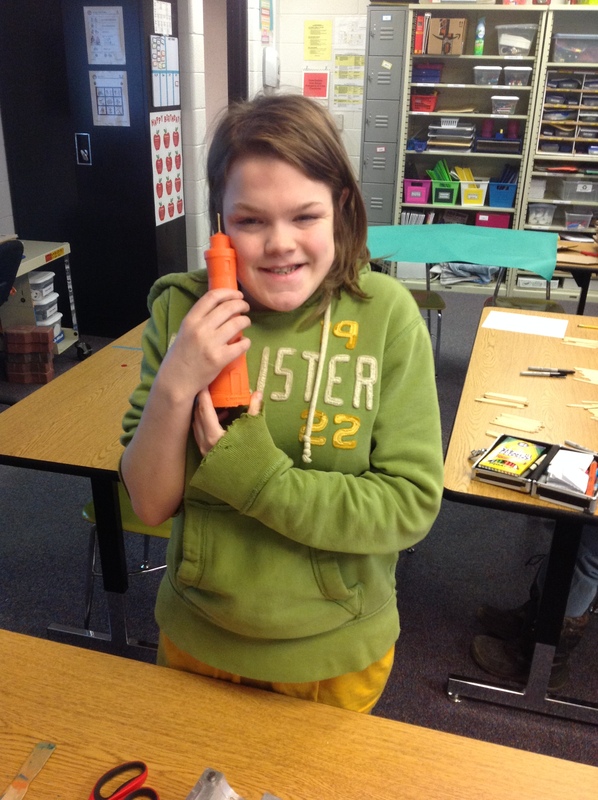 The Area School serves students in Clare and Gladwin counties who are eligible to receive services under the categories of moderate and severe cognitive impairments, severe multiple impairments, autism spectrum disorders and traumatic brain injuries. 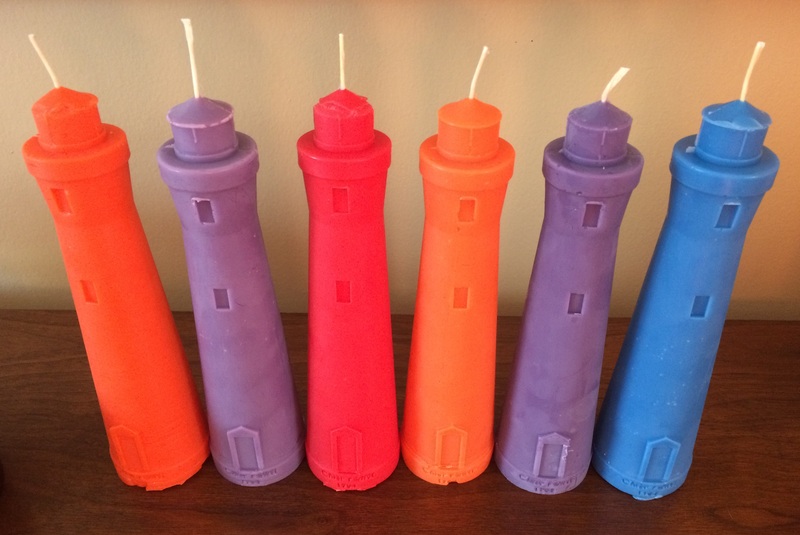 Crisp Point Light Historical Society provides the wax, colors, scents, wick, a Crisp Point Light mold, and other supplies for the students to use in making these candles. With the help of their teacher and paraprofessionals and under their supervision, the students were taught how to melt down the wax, add colors or scents if needed, place the wick in the mold, attach a metal wick holder at the bottom of the candle, pour the wax into the mold, and remove the candle once the wax has cooled. 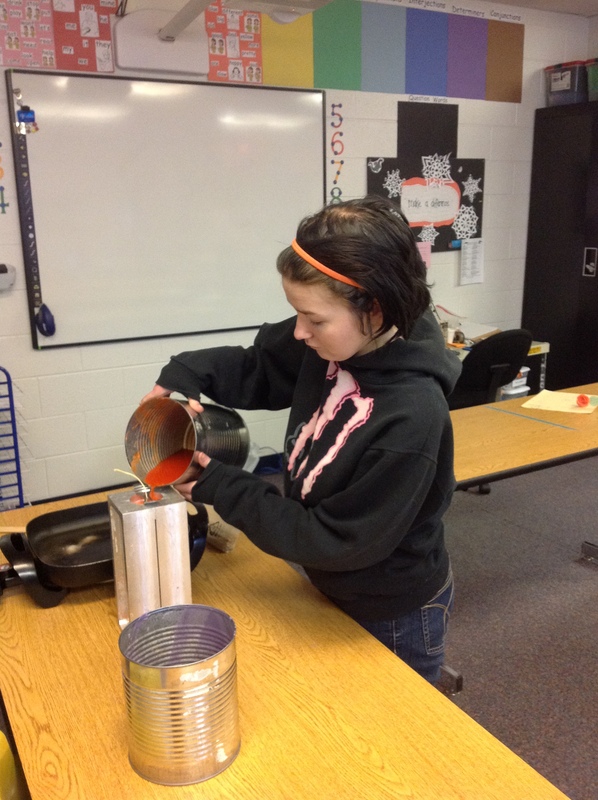 We think the students are doing a great job making the candles and we appreciate their help! 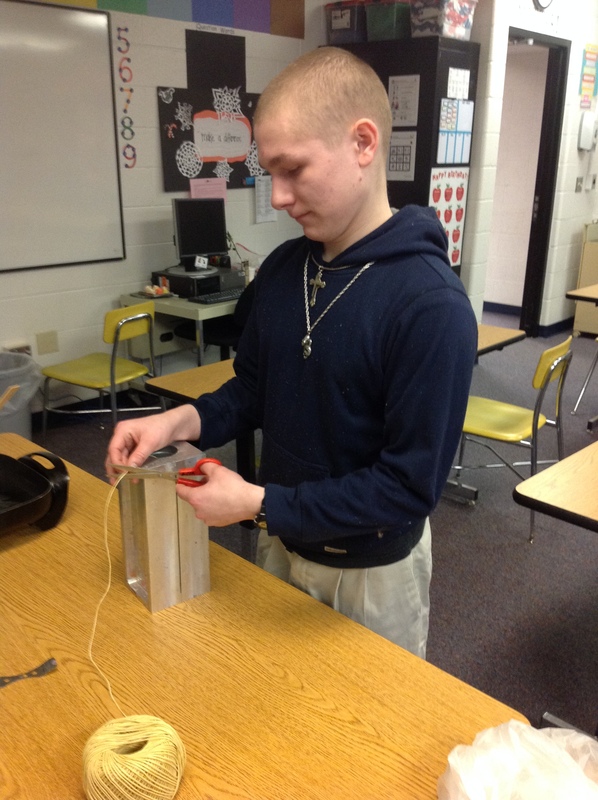 Also, thank you to Jerald Moore and other volunteers that have been involved in making the candles for us in the past! 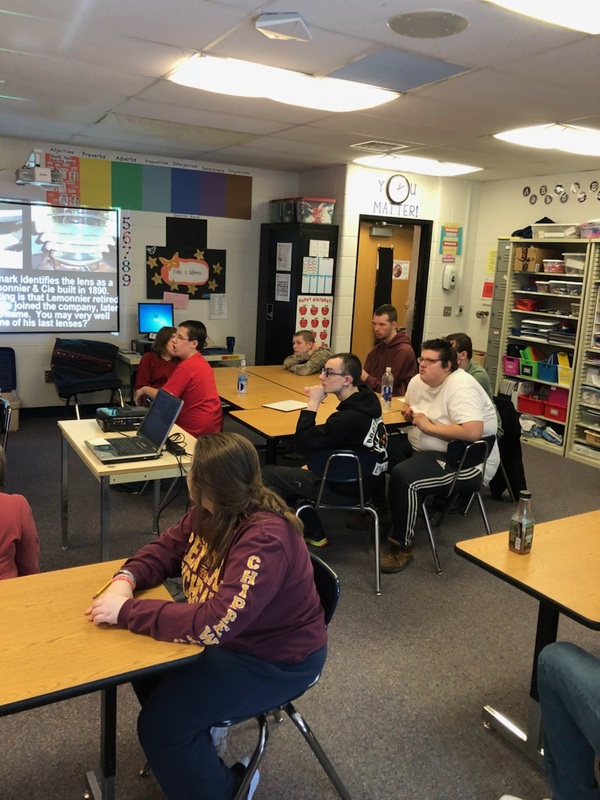 On March 16, 2018, Crisp Point Light Historical Society members Carl Jahn, Marcia Jahn, and Cameron Lovett gave a presentation to the students about Crisp Point Lighthouse that included why lighthouses were built and that many are being restored and preserved. Students were given a Michigan Lighthouse Guide (which is also available for purchase on the fundraising page of our website) which is a map of all of the lighthouses in Michigan and information about them, a Crisp Point Light brochure, and other lighthouse handouts to take home. 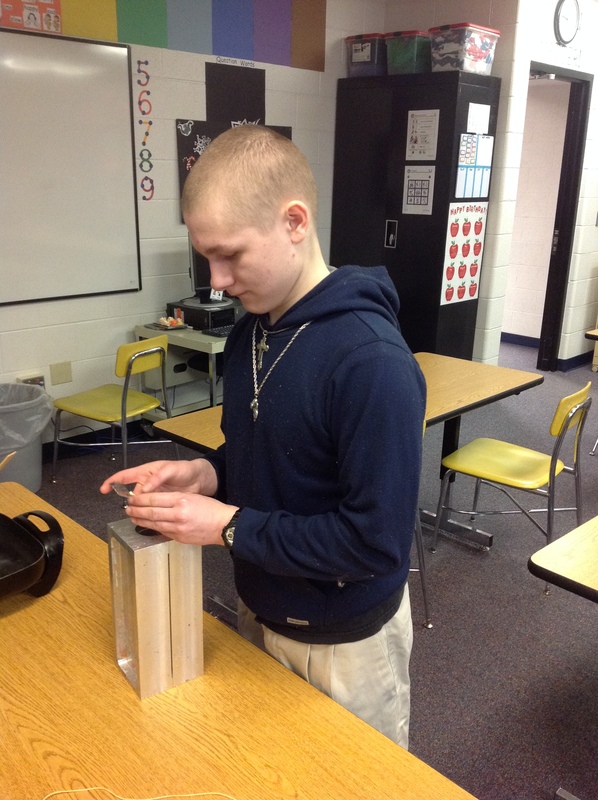 The Jahns also brought with them miniature examples of the different types of Fresnel lighthouse lenses and other lighthouse related items for the students to view. 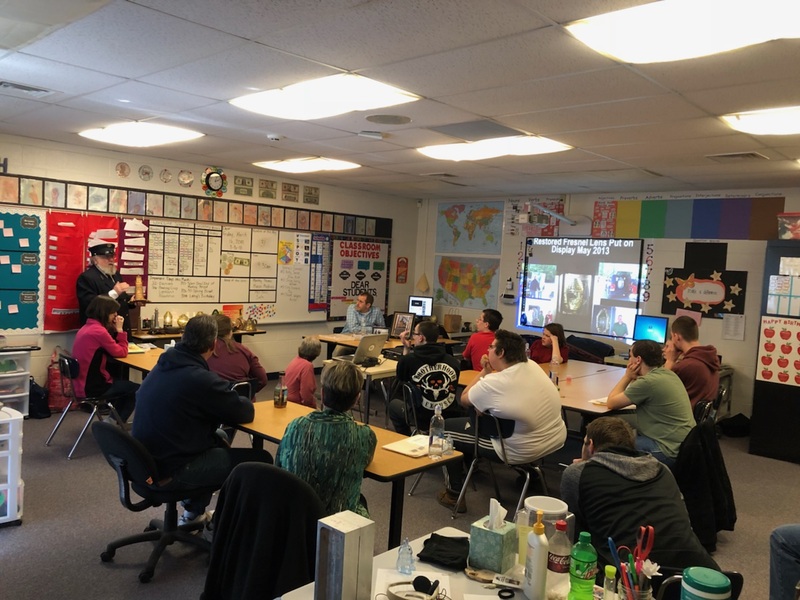 Students intently listen to CPLHS Member Carl Jahn speak about lighthouses. Carl was dressed in an authentic lighthouse keepers uniform. Some questions asked by the students during the presentation were “How far away is Crisp Point Lighthouse?” and “How many lighthouses are there in Michigan?”. 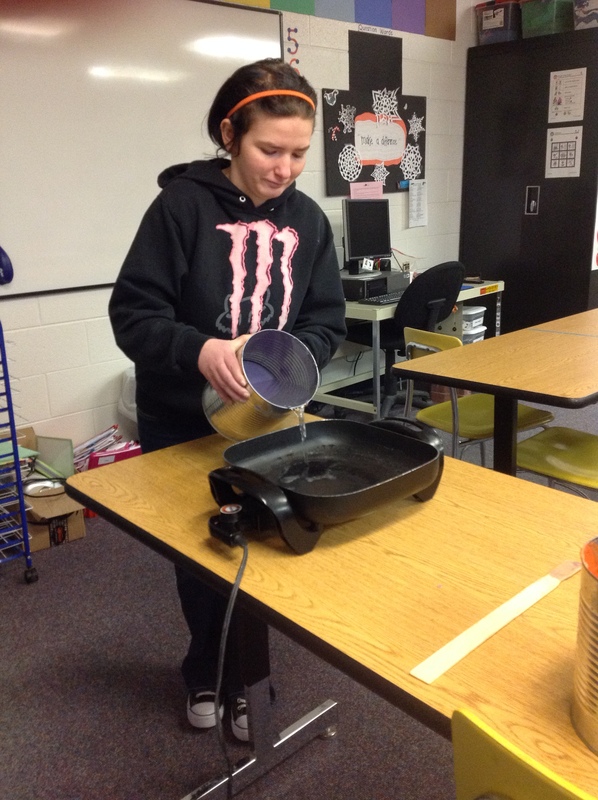 A student adds water to a heating unit to make a water bath for the wax. 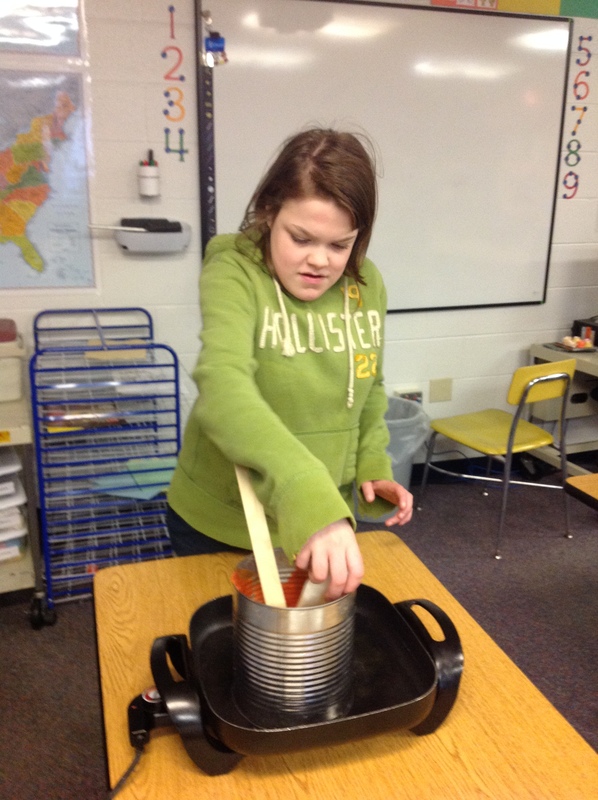 A student adds wax to be melted. 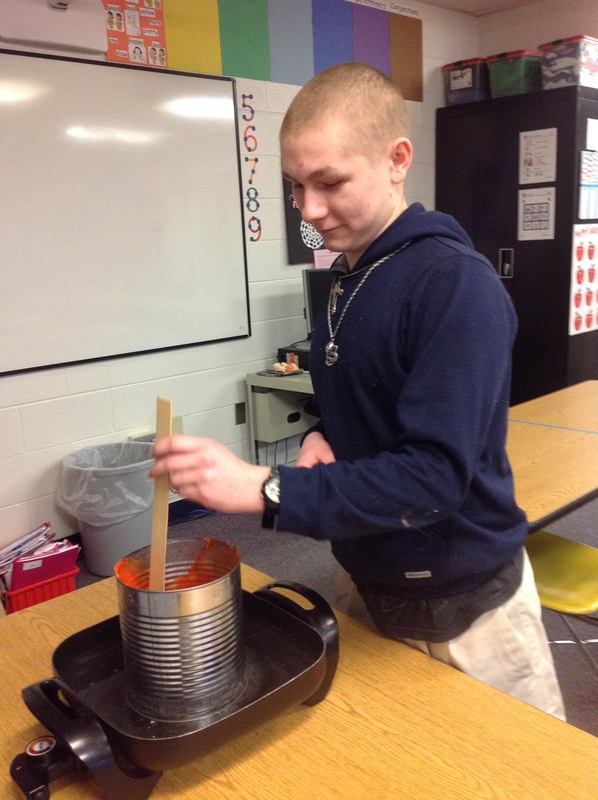 A student stirs the wax while it is being heated to ensure uniform heating of the wax. 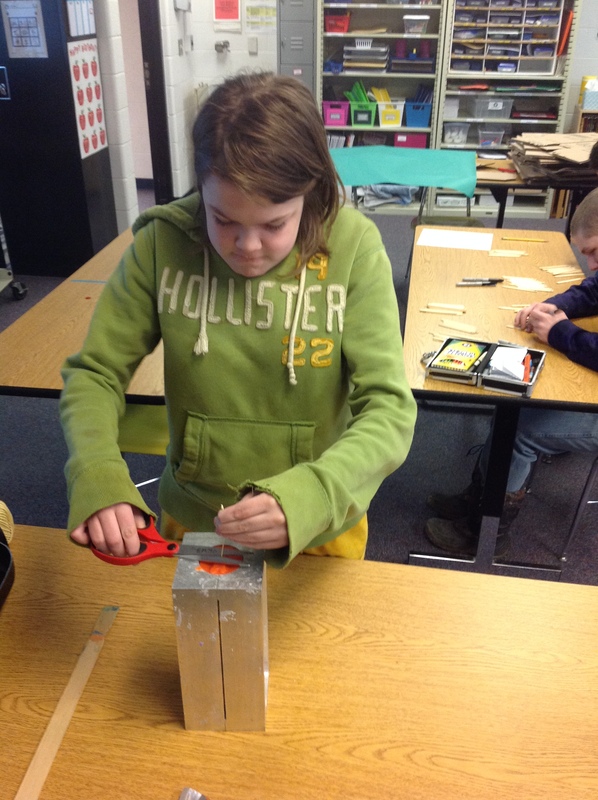 The wick is inserted into the candle mold. 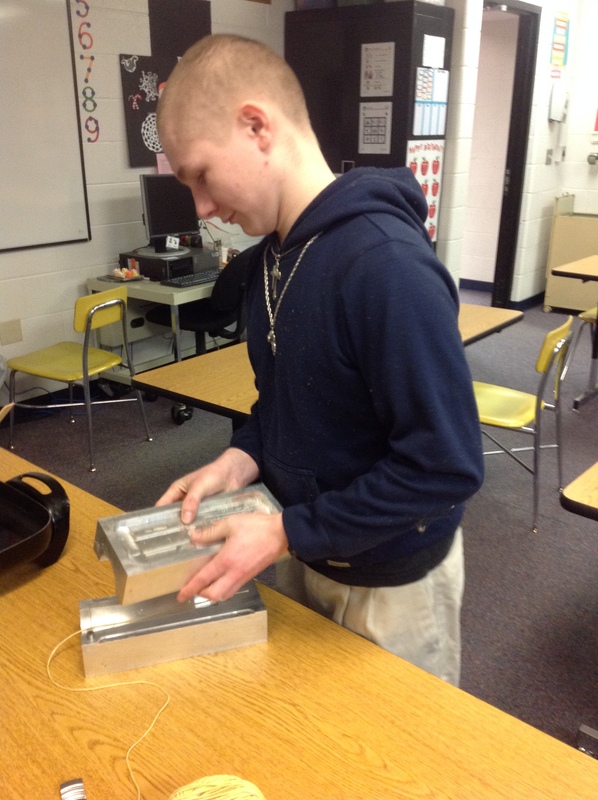 The two halves of the mold are secured together. 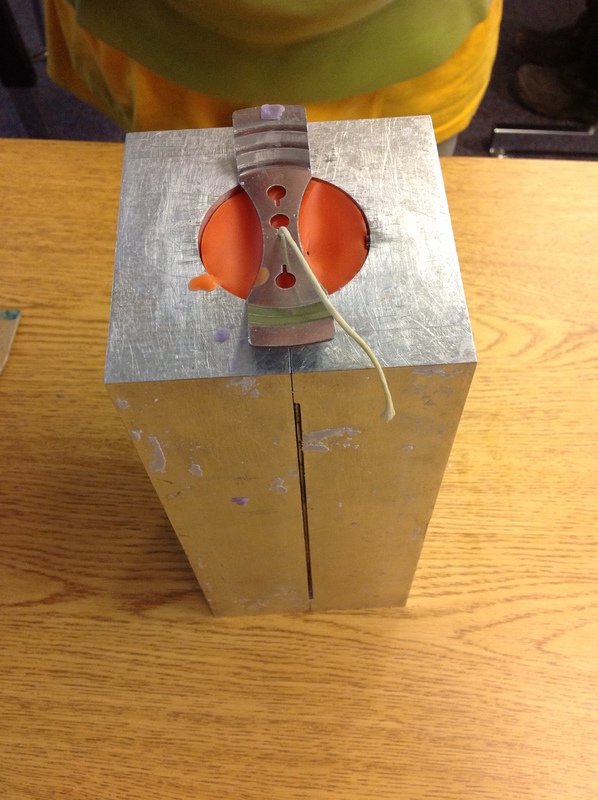 The wick is cut from the roll prior to adding the melted wax into the mold. A metal wick holder is added to the bottom of the candle. The holder is removed after the wax cools and reused for the next candle. The melted wax is carefully poured into the mold. The wax has to cool inside the mold. The final trimming of the candle wick on the bottom of the candle. The two halves of the mold are ready to be taken apart. The two halves of the mold are taken apart and behold, an orange Crisp Point Light candle appears! 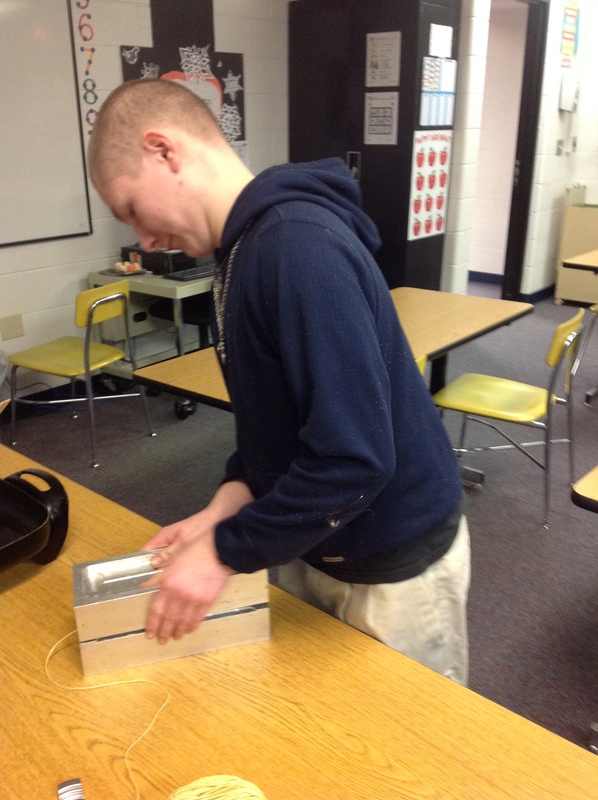 The last step, a student adds a little bit of love to the candle.